"Modern times are dominated by Satan and will be more so in the future. The conflict with hell cannot be engaged by men, even the most clever. The lmmaculata alone has from God the promise of victory over Satan. However, assumed into heaven, the Mother of God now requires our cooperation. She seeks souls who will consecrate themselves entirely to Her, who will become in Her hands effective instruments for the defeat of Satan and the spreading of God's Kingdom upon earth" (St. Maximilian). The Crusade of Mary Immaculate, as its name points out, is an army of Marian "knights". St Maximilian Kolbe was inspired by St. Louis de Montfort's treatise "True Devotion to Mary". Following in their footsteps, you will totally consecrate your life to Mary and with Her you will work for the Church and salvation of others. According to St Maximilian, a Crusader is "the property of Mary Immaculate: Hers without limit and in every sense, irrevocably and unconditionally" as She is "the shortest and surest way to conversion and sanctification". The Miraculous Medal you will wear with faith and love is a powerful shield to protect from the evil and called by St Maximillian a spiritual "bullet" with which we defeat Satan. It is a strong help to convert sinners, to bring back the lapsed, to comfort the sorrowful, to aid the afflicted and to console the dying. Its power cannot be underestimated. Wear it with great faith and loving devotion. The Miraculous Medal is a sign of Mary's love for us and our trust and confidence in Her. 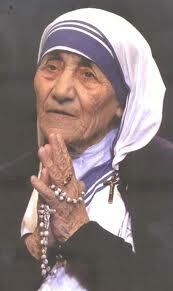 Mother Teresa of Calcutta was a great advocate of the Miraculous Medal and took every opportunity to promote it. She always kept copies on her which she handed out to whoever asked her for prayers.